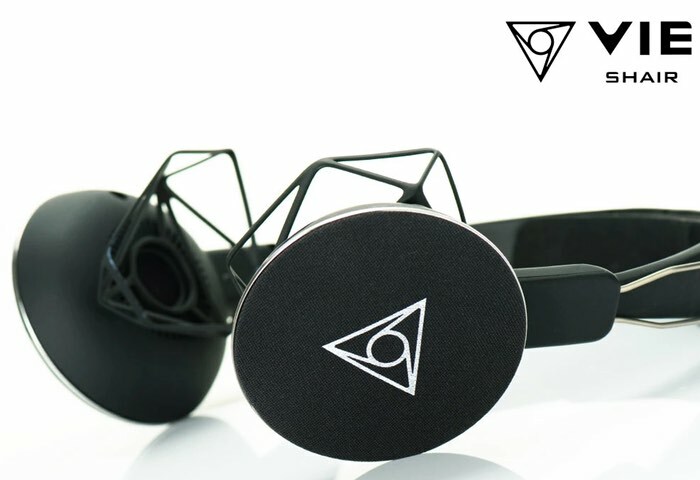 Vie Style has created a very unique pair of headphones called the VIE SHAIR, that come equipped with a new feature called an Air Frame, which has been designed to keep the headphone pads away from your ears providing both comfort and a way to socially interact with your surroundings when required. The open-air, music-sharing headphone headphones can be equipped with either open or closed frame fittings offering you the ability to listen to audio privately if desired. Watch the video below to learn more about these unique headphones and their inspiration. The developers of the VIE SHAIR headphones explain more about their construction and uses. Traditional headphones are painful because they create pressure and generate heat. They’re also subtractive, in that they take you out of your environment, which makes communication difficult and awkward. VIE SHAIR’s 3D molded air frame design floats the speaker just off your ear, and is extremely comfortable to wear. You can wear it with less stress and no sweat. It also allows you to interact with your environment while listening to your audio. When you want privacy, the open air frame easily converts to a closed air frame. VIE is Bluetooth enabled. Its core audio technology comes from Yamaha’s advanced MACH-5 codec, and the large, directional flat speakers provide superior sound quality. and It can also broadcast audio to an unlimited number of VIE headsets. It’s a pain-free, safer and more social headphone. The VIE SHAIR headphones project is currently over on the Kickstarter crowd funding website looking to raise $150,000 in pledges to make the jump from concept to production. So if you think the design of the VIE SHAIR headphones offers something you could benefit from, visit the Kickstarter website now to make a pledge from $199 and help VIE SHAIR headphones become a reality.